How good are you at keeping a conversation going? Holding a conversation is a social skill that doesn’t come naturally for all of us. Sometimes even chitchat in our native tongue can be a real challenge. But the real question is this: How good are you at keeping a conversation going in Chinese? The answer to this question varies from person to person. Nonetheless, one thing you might notice among language learners is that their conversational Chinese verges on formulaic, often sounding a little unnatural and forced. We know that a good verbal exchange consists of more than just your average introductions and Q&As. To really sound like you’ve immersed yourself with the language and culture, you’ve got to go beyond your usual small talk. And one fantastic way to keep everyone immersed in a conversation is by telling jokes! Why Tell Jokes in Chinese? Of course, to really impress a native speaker you could discuss complex issues such as politics or world events. But don’t sweat it if you’re not there yet! There are other ways to impress someone in a conversation. Little things are highly commendable too, like ordering an iced caramel macchiato for your friend or demonstrating the ability to flirt with your crush in Chinese (as pick-up lines are a more Western cultural concept). If your aim is to be the comedian of the group, learning jokes in Chinese is the way to go. Humor bridges the cultural divide, making it a fantastic conversational insert. 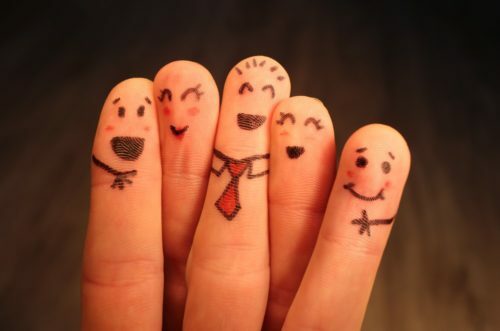 Jokes are icebreakers that fill any awkward silences and help establish platonic connections with your group (although they can also be used in a flirty way). So if you don’t have any jokes in Chinese up your sleeve, we’ve got you covered. And no, we’re not talking about those overdone Chinglish jokes that aren’t even funny. We’re talking about the real stuff, actual Chinese jokes that would score you some major “cool” points with native speakers. Learning to deliver a good joke in Chinese will also improve your conversational skills. 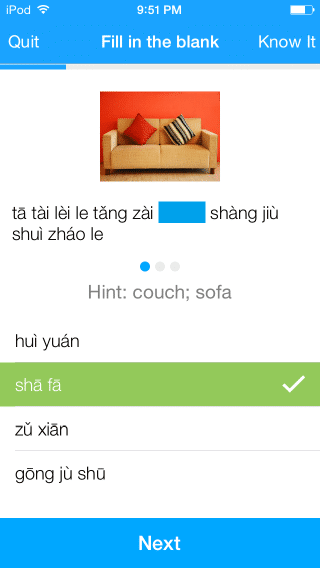 Ready to get some chuckles out of fluent Chinese speakers? Until you get enough of the language under your belt to make your own jokes, let’s get started with some pretty easy, common Chinese jokes. Want to see some Chinese comedy in action? Check out the Chinese videos on FluentU! FluentU takes real-world videos—like music videos, movie trailers, news and inspiring talks—and turns them into personalized language learning lessons. 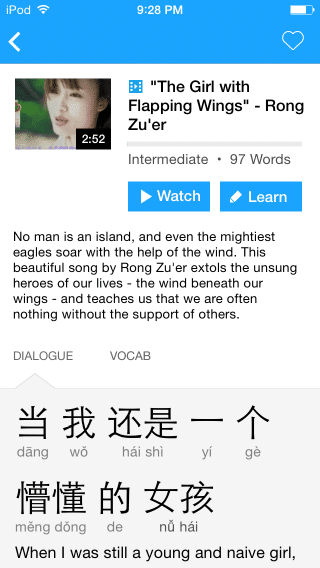 FluentU isn’t just about watching videos—it’s about learning and actively practicing Chinese. If you can understand Chinese humor, especially, you’re one step closer to fluency! We’ll ease you in with the simplest one out of the bunch, a joke with a punchline that’s understandable and funny in both Chinese and English. This is another joke you’ll find floating around the web. There are actually three Spider-Man jokes, all of which make use of Chinese homophones, or words with the same pronunciation but different meanings. Question: Who knows pigs very well? If you didn’t know Spider-Man in Chinese, you’re more likely to think of the characters “知豬人” instead of “蜘蛛人” when someone utters, “zhī zhū rén,” translated as “I know, the pig-man.” So the joke is pretty much referring to Spider-Man as a pig-man. Question: Who is the worst superhero? Question: What color is Spider-Man? Assuming that the listeners know the homophone, the answer to this one is easier to guess than the second joke, since the clue really gives away the correct pronunciation of “shi bai de” + 人, meaning “white man” in this circumstance. Funny how different these Spider-Man jokes can be when you mix up the tones. Try telling these three jokes in this exact sequence so that listeners can get it right by the time they hear the third one. Obviously, the jokes don’t make a lot of sense when translated into English, but they’re definitely witty in Chinese. It’s this level of playfulness that indicates your interest in and knowledge about the language. 5. How Well Do You Know Your Steak? Question: A seven-minute (medium-well) steak and a (medium) five-minute steak meet on the street, but they didn’t say hello to each other. Why? Answer: Because they both aren’t familiar with each other! Similar to a couple of the jokes mentioned earlier, this one loses its meaning when translated in English. There are tons of other jokes out there, with many that require deeper understanding of characters, specifically how they’re written, what radicals are used, etc. Chinese character riddles can get pretty complex, so it’s best to start with these jokes before you progress to more advanced wordplay. 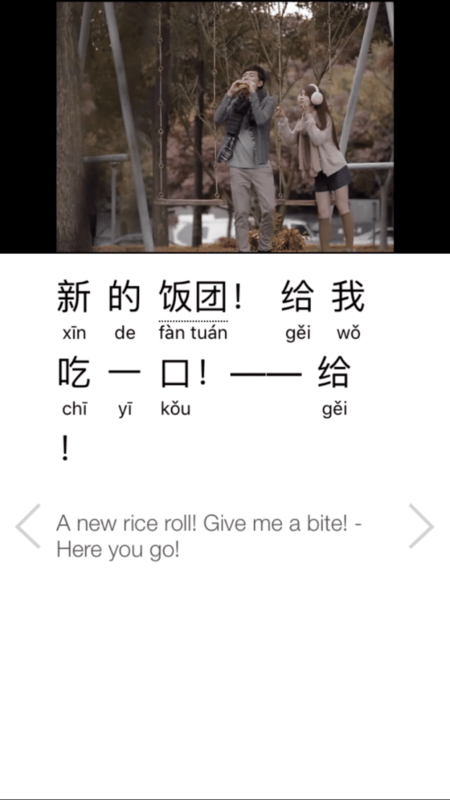 With more reading and writing practice, you’ll be wowing your peers with all kinds of puzzles and puns in Chinese. And before you know it, you’ll be fluent enough to translate your own jokes into Chinese.